Fans of Winnie the Pooh will be thrilled after a new children’s exhibit honouring the bear has opened at Assiniboine Park. The Pooh Gallery is designed for children of all ages and shares the story of the bear with a local connection and how it came to be. Visitors will hear about Colonel Harry Colebourn, a Winnipegger and veterinarian with the Fort Garry Horse Militia, and Winnie the Bear. 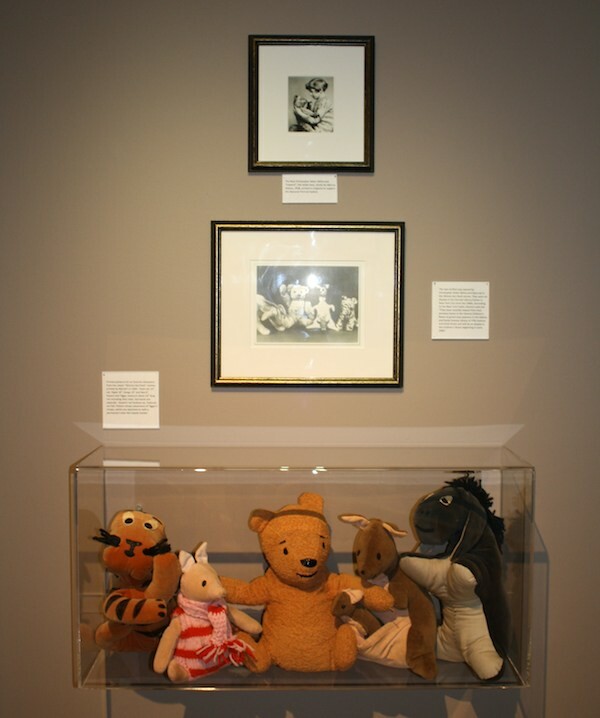 The exhibit is located on the second floor of the Pavilion Gallery Museum, and houses a permanent collection of Winnie the Pooh artifacts and memorabilia donated by the MacFarlane family, including pop-up books, toys and figurines. There are also original illustrations and the famous ‘Winnie the Pooh and the Honey Pot’ painting by Ernest H. Shepard. Also a part of the collection is the original signed copy of the book Now We Are Six from 1927 by author A.A. Milne. Beginning Wednesday, children aged three to five can take part in the gallery’s Winnie Kids program. From 9:30 a.m. to 11:30 a.m. on the first Wednesday of each month, children can sing songs, hear stories and create crafts about Winnie the Bear and his friends.